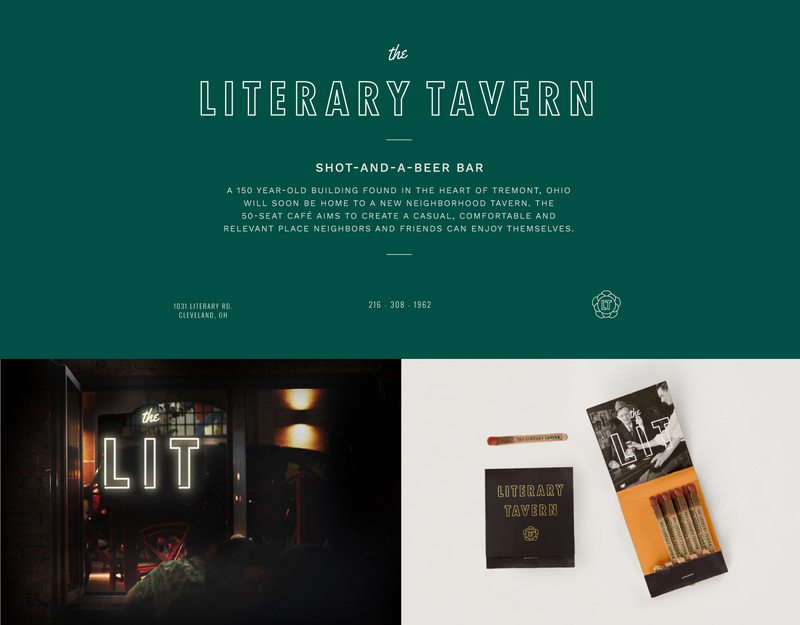 The Literary Tavern Branding - Go Media™ · Creativity at work! Go Media has once again had the pleasure of working on one of Ross Valenti's new locations - a local tavern in our own backyard. 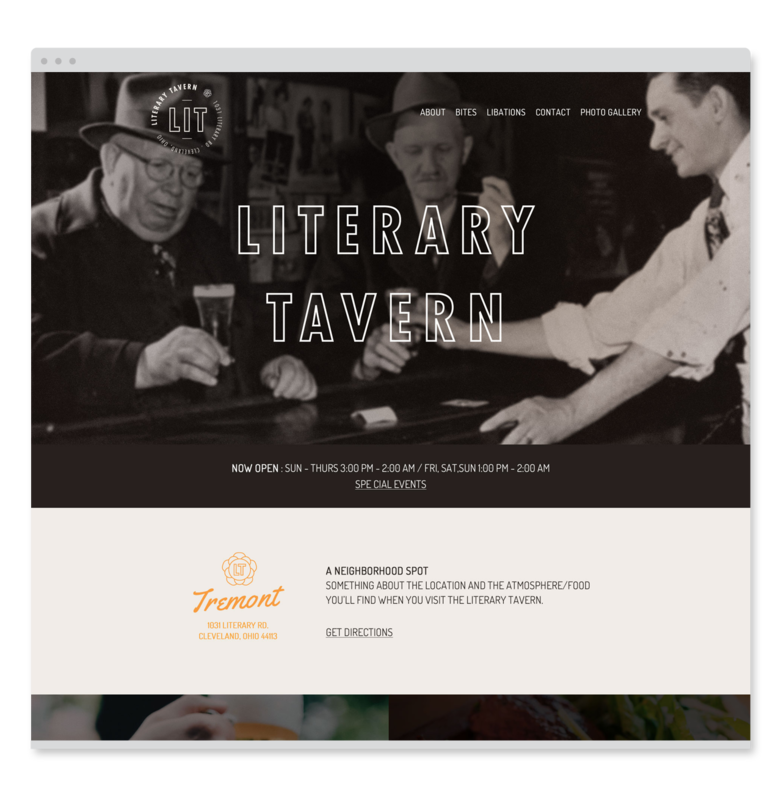 The Literary Tavern location has been part of the Tremont neighborhood for many decades, and, though it's contents have changed many times, it's historical roots are strong and the stories of those who filled it's walls are a great reflection of the character it holds. 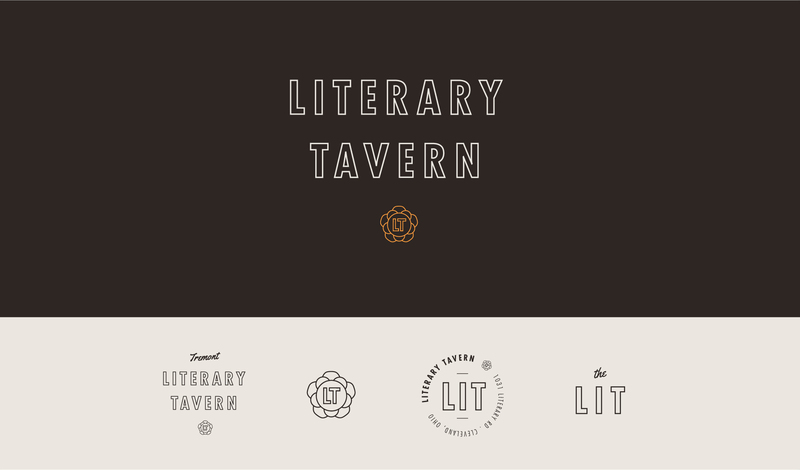 While working on the brand and website we had the pleasure of hearing those stories, all of which have inspired and influenced the branding for The Literary Tavern. In the 1970s what is now the Literary Tavern was then a local bar where veterans would gather for a beer and each other’s company. Famously, it was visited by the likes of Robert Deniro while filming the Deer Hunter to chat up the local Vets and learn from their experiences. To keep some of that history in tact the Literary Tavern badge was created in the form of a Lieutenant's medal/lapel pin.